Employee engagement is dipping, according to a new study by human resources consultancy Aon Hewitt, but as an manager, you can make the workplace more appealing through positive initiatives such as employee training and development. 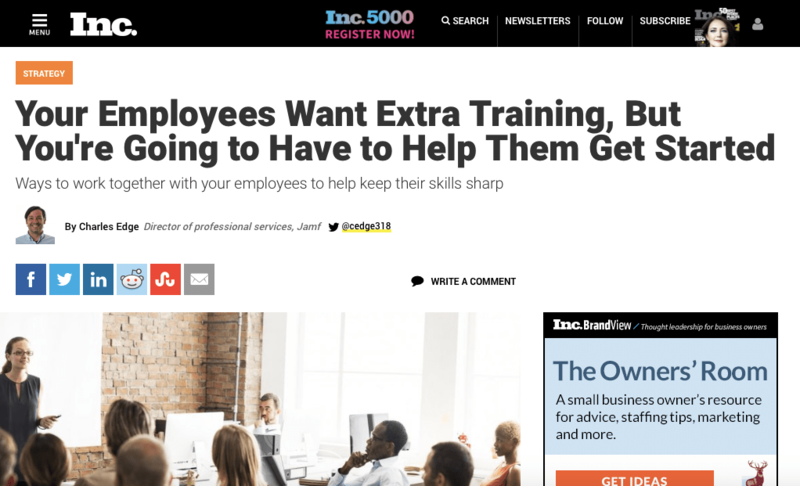 Indeed, I’ve often had people I manage ask for more training. My answer is always an emphatic “yes.” But then something funny often happens: nothing. Giving staff approval for trainingdoesn’t necessarily mean that they’ll do it unless you follow up methodically and even micromanage the process. Why does this happen and what does it show about how employers and employees alike can do a better job to make sure development happens? I have five theories.